Can these new chocolate mountains compete? We think so. Poundland is set to give Toblerone a serious run for its money. The budget store has developed a slab of triangulated, nougat-filled chocolate – with double humps! It’s welcome news for those who were shocked and disappointed when, following last June’s referendum, Toblerone makers Mondelēz International began increasing the gaps between chunks, and shaving their bars down into lighter versions (the 400g bars became 360g, and the 170g ones are now just 150g). 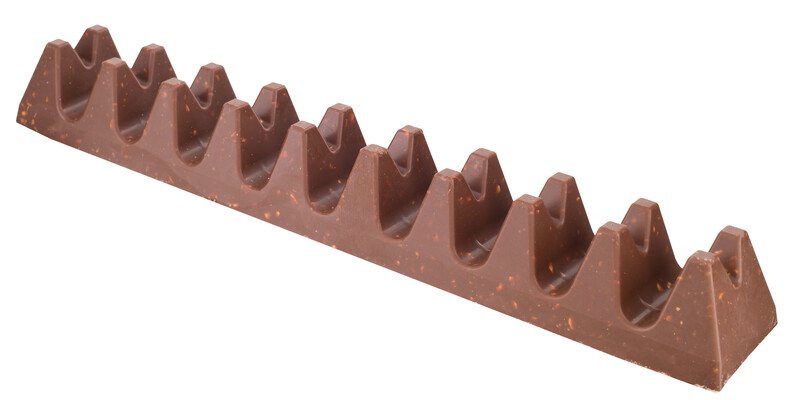 Upsettingly – particularly for those who consider Toblerone to both epitomise Christmas and signal the joy of spending your last holiday pennies in Duty Free – you even get fewer chocolate triangles now: nine instead of the previous 11. But Poundland has come up with a crafty £1 alternative, called Twin Peaks (apparently no relation to the cult Nineties TV show). Poundland’s Twin Peaks chocolate bar, £1, will be available in stores from the beginning of July.